« Always use HTTPS (for WordPress.com). Cuenca was once a Cañari settlement called Guapondelig (also spelt Guapondeleg), which means ‘a plain as big as the sky’ in Cañari language. The Incas conquered it and called it Tumipamba (also spelt Tumipampa); tumi meaning ‘ridge’, pamba meaning ‘plain’. After the Spanish arrived in 1533, they called it Tomebamba taking after the Inca name. Some people think Cuenca might have been the legendary golden city, El Dorado, which, if it turned out to be true, would make it one of the most fascinating archaeological finds of the Inca Empire. There are some small Inca ruins in the city but nothing as remotely impressive as the ones in Peru. Cuenca is a pleasant city to be leisurely strolling around in. At the heart of it lies a pretty plaza called Parque Abdón Calderón (Abdón Calderón Park). On the western side of the plaza sits the city’s landmark: the huge ‘new’ cathedral, Catedral Metropolitana de la Inmaculada Concepción (Cathedral of the Immaculate Conception), which is one of the largest in the Americas. 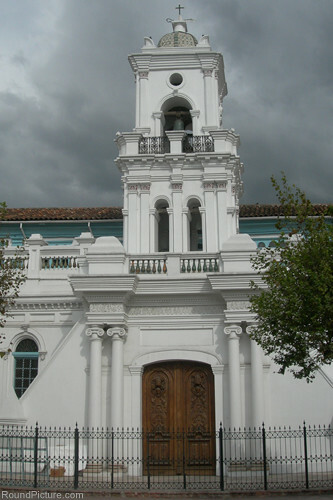 On the opposite side sits the much smaller ‘old’ cathedral, Iglesia del Sagrario (Sagrario Church), which was built in 1557 and is one of the oldest in South America. However, despite the city’s UNESCO World Heritage Site status and its lovingly maintained Spanish colonial architecture, the highlight of the area for me was Parque Nacional Cajas. 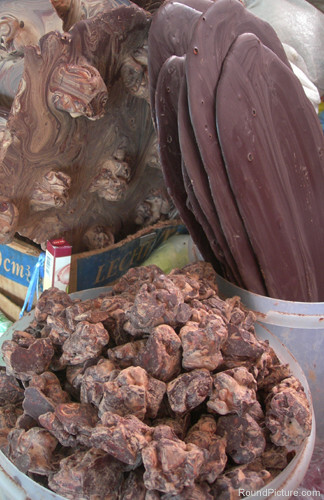 If you have a sweet tooth, the 2 story market in the south west side of the city centre has ladies selling massive blocks of chocolate and dulces (sweets). And while you’re at it, check out the shops outside for some beautifully hand-woven Toquilla Straw hats (Panama hats) the country is also famous for. 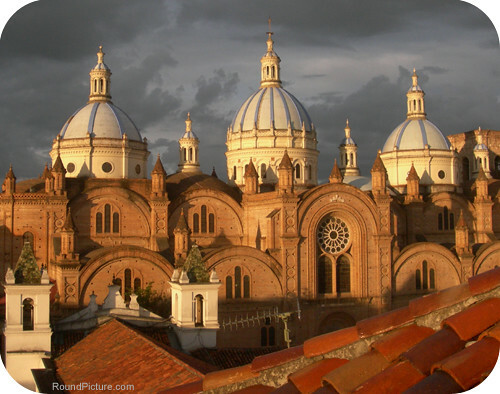 Very good review about Cuenca, it is indeed one of the most beautiful cities in Ecuador. You can get another nice view of the cathedral from the street behind it (Juan Bautista Agui street). And I agree with your list (plus the Galápagos Islands! – as well featured on your website). One exhilarating bike ride from Baños to Puyo is something I won’t forget in a hurry, and it’s something I’d highly recommend. у вашего блога приятный диз, сами верстали?